This is what I'm up to today; making finger pincushions. I'm trying to get lots of stock made for the craft shop that we will be opening next month. The best way to get large amounts of work made its to do everything in batches. 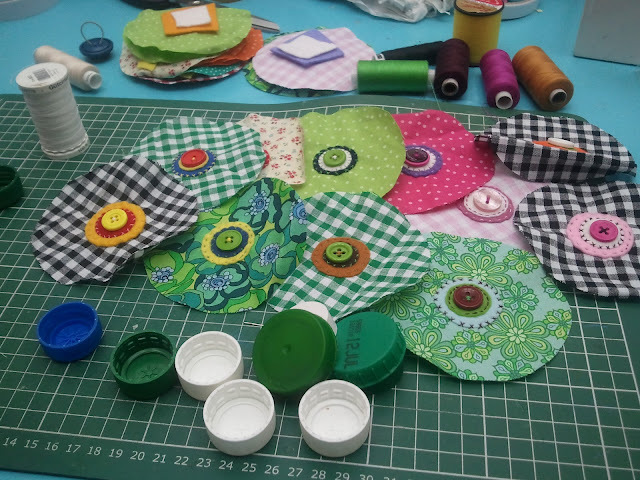 Firstly I get out my fabric scraps box, and pick out lots of small bright prints. Then I cut out lots of circles using a card template. 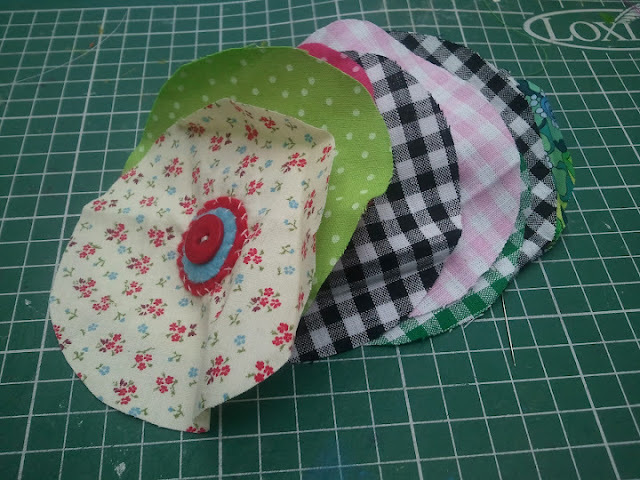 After that I whip out my felt scraps box(this is where hanging on to tiny scraps comes in useful). 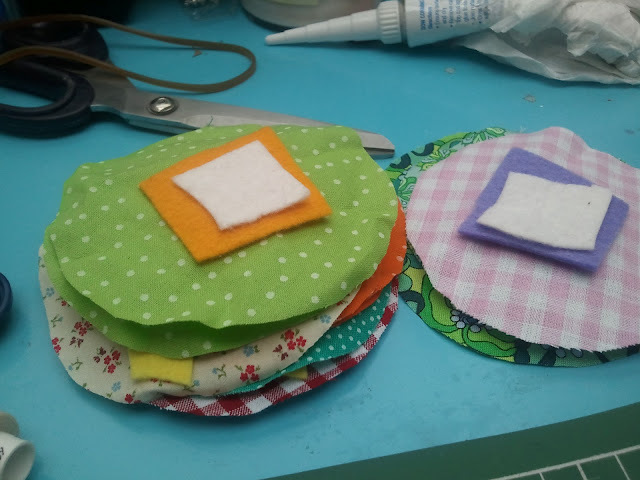 I cut out two squares of contrasting/matching felt to the fabric. I then cut all those into little circles. The next part means rooting through my button box to find a matching button. The circles are then hand stitched on in a contrasting thread so that the stitching becomes a feature. This is just the first stage of making the rings, I then have to hammer holes in the bottle caps, string through the elastic, and decorate them with ribbon. The last stage involves turning these circles into cupcakes and gluing them into the caps. It's quite a long process but it's better if it's broken up into segments. Thanks!! Yeah I'mn sure I'll be buying lots too, but I'll try to set sales targets for myself, if I sell x amount I can spend y. Well in theory anyhow!